Introduction: I am republishing selected posts from Cohencentric (my former Leonard Cohen site) here on AllanShowalter.com (these posts can be found at Leonard Cohen). This entry was originally posted Feb 7, 2012. Behind every great artist there is an assistant. Depending on who you ask, being an artist’s assistant is a lot like being a friend, or a secretary, or a 19th-century factory worker. Wages range from paltry to lawyerly; work spaces from stately to slovenly to simply unsafe. 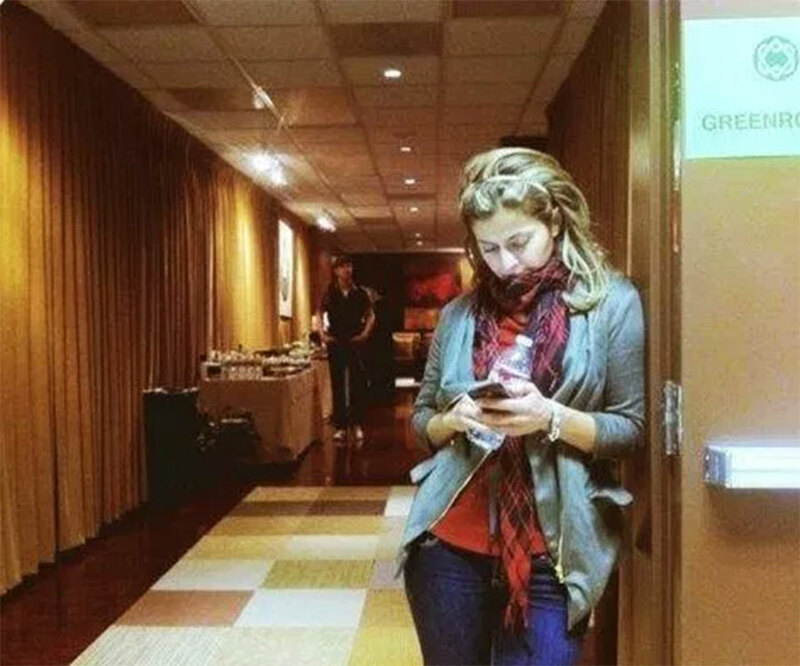 Some spend their days in business-casual and others in coveralls, but what they all share is unfettered access to the personalities and studio workings that others only glean from CVs or biographical blurbs. There are stories of ungainly tantrums, eye-popping extravagance, clichéd eccentricity or profound compassion; these accounts are traded by artist’s assistants like baseball cards or bragged about like battle scars. It would be a gross understatement to say that it’s engaging to talk with assistants about their workdays; it’s often like hearing from a star-struck therapist freed from the binds of doctor-patient confidentiality. 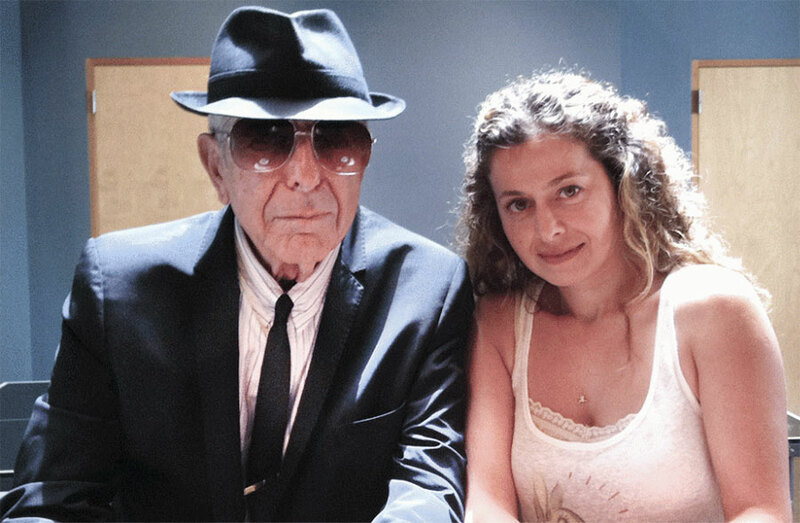 It turns out that Leonard Cohen has an assistant.2 In fact, many readers are aware that Kezban Özcan, who handles – well, anything that needs to be handled, holds that position because a significant portion of her work is interacting with fans. It was, in fact, Kezban’s performance of a task benefiting this blogger3 that first triggered the thought, What would it be like to be Leonard Cohen’s assistant? Given that I have identified myself as a blogger, it is, of course, a redundancy to note that my next immediate thought was Can I make a post out of that? It has required some time to transform that nascent notion into the post before you now,4 but the final product proves worth the wait. 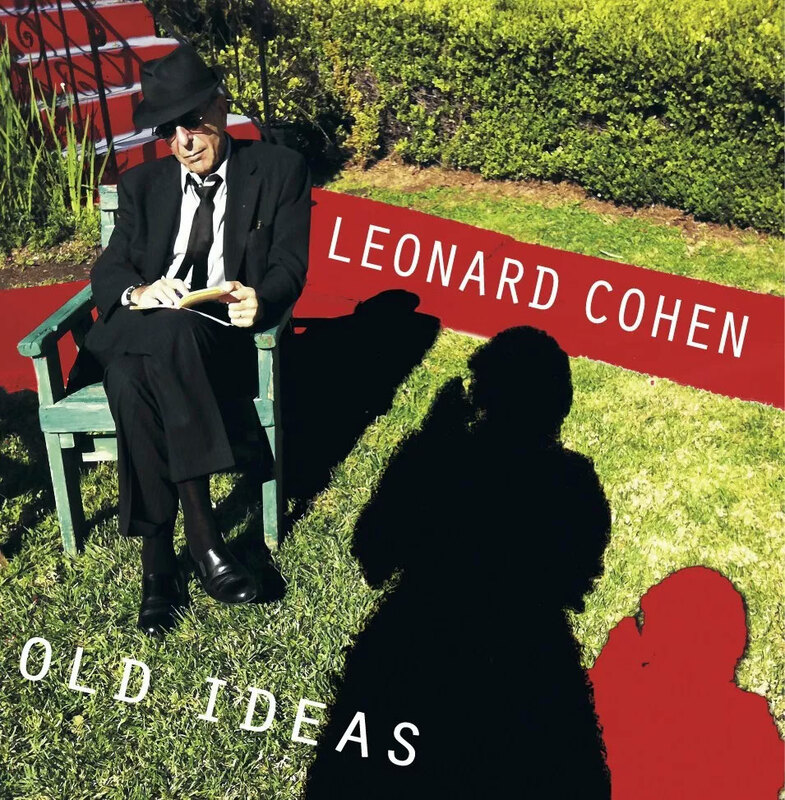 The photo on which the cover of Leonard Cohen’s Old Ideas album is based was taken by Kezban Özcan. Q: When and where was photo on the album cover taken? KO: In front of his house, in Los Angeles, around March 2011. Q: How did photo get taken? KO: I take pictures of him and his family on an almost daily basis and show them to him. He just liked this particular one and decided to use it for his album cover. Q: How did you become Leonard Cohen’s Assistant? KO: I was recommended by a mutual friend of Anjani’s and started working for them part time around 7 years ago, and it has been a little over 2 years since I started working for him as a full time assistant. Q: What did you know about Leonard before you started working for him? KO: His books and his songs. Two of the first recordings I heard of his were “Suzanne” and “The Window” in Istanbul a long time ago. Q: How long have you worked with Leonard? KO: Part time assistant for 5 years and then full time assistant little over 2 years. Q: What are your hours on this job? Are you on-call 24/7? During hectic times like the album recording and promotions, how many hours a week were you putting in? Do you get time off? KO: 24/7 but I couldn’t specify a number of hours. I have never had a specific-fixed schedule of work hours. For example, I worked last Sunday so Leonard gave me the Monday off. He is very serious and fair about giving me more than enough time to rest and have fun. 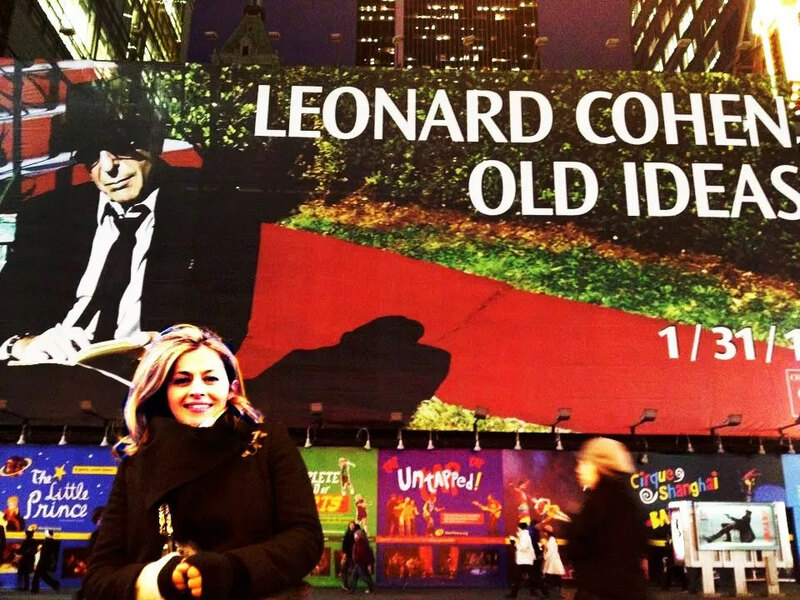 Q: What does an “Assistant to Leonard Cohen” actually do? KO: Just be there for all of the above and anything that might pop up. Q: Since you’ve been Leonard Cohen’s Assistant, what has been the most difficult part of your job? KO: There is nothing difficult about my job; I mean this. Leonard makes everything easy and stress free. Q: [Having asked this question in hopes of provoking at least an anguished complaint or, even better, evidence of Leonard Cohen’s otherwise hidden perverse and despotic personality traits (e.g., “He makes me scrub the floor with a toothbrush while singing the tracks from Merle Haggard’s Christmas album.”), I pressed Kezban on this point] Perhaps a better word I could have used in the question would have been “awkward.” I would think, for instance, it must be awkward for you when you are tasked with limiting fans’ access to Leonard Cohen. KO: I’m used to it by now. He can’t possibly be expected to handle fans’ request as it is so much. He gets tons of emails and mail and is very busy on a daily basis. So, naturally, I’m here to help him, and I’m used to it by now. Plus, I can always ask him if I feel awkward about responding to anything specific on his behalf and do get help from him. Q: What is the strangest thing that has happened? Q:What is the funniest thing that has happened? KO: I can’t recall the funniest thing right now but as you know he has a beautiful sense of humor. Any regular conversation has a humorous edge to it. Q: What is the best time you’ve had on the job? Q: What is the most important thing you’ve learned? KO: “In this world, you have to be a bit too kind just to be kind enough.” After knowing him, kindness has a whole new meaning to me, and witnessing him perform kindnesses every single day is a very rare and beautiful thing. Also, I learned that it’s OK to take as long as you need to complete a task or anything else in the interest of excellence, even if that means missing deadlines, etc. He doesn’t rush anything or anyone. This is something I’m still learning this because I tend to move very fast because this kind of job requires you to be that way. But I’m unlearning this one. KO: “Proud” – I don’t know about being proud, but it makes me very happy when I can be of help with anything. Also, I’m very happy about the album cover. Q: Does the old saying, “No man is a hero to his valet,” apply to Leonard Cohen and his Assistant? KO: No it doesn’t apply for us. He is a hero to me. Q: What have you have observed about Leonard Cohen during the time you’ve worked for him that has most surprised you? Q: What would most surprise his fans? KO: Probably his shyness, or at least that was what has surprised me at the beginning. Q: Could you give an example of Leonard Cohen’s shyness? KO: You would expect someone like him to be accustomed to reactions he gets from his fans. While his response is, of course. always genuine, at the same time, it isn’t, I don’t think, easy for him to respond to compliments because of his shyness. Q: What other jobs have you held? KO: I used to work as a secretary accountant at a firm for a long time, and I managed a restaurant for a while in LA, but mostly I’ve worked as a personal assistant for different clients. Q: What kind of career path do you foresee after this job? KO: I can’t think of anything else for the time being, but I started studying fine arts a long time ago, and I often wonder when I will ever finish that. I love my job, and it’s hard to imagine doing something else. Q: How do you spend your time when you’re not being Leonard Cohen’s Assistant? What do you do for fun? KO: I love jazz and blues music, fine arts, and I love painting. I have been blessed with wonderful friends who are mostly artists and musicians; I often go out to hear music and spend time with them. I have a brother who also lives here in LA, and I love spending time with him and his fiance every week. Could you name two or three of these artists whose work you enjoy? KO: I love Patrice Quinn, an absolutely amazing local jazz singer who is a complete secret in L.A.; it blows my mind that she isn’t a star by now. I have been listening Sonny Rollins a lot these days. Also, I’ve been enjoying a Mahler CD, which I borrowed from Leonard. I love the music of Kamasi Washington, who is a local tenor saxophonist. You must hear these people live to really know what I mean. I also like Anjani and Sharon very much.